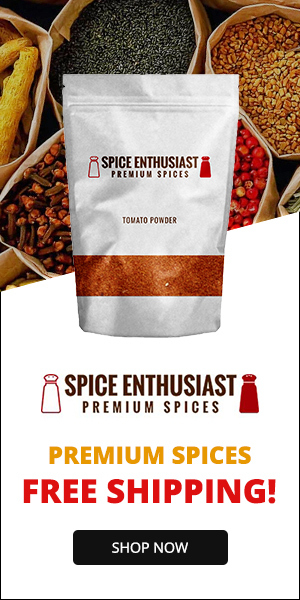 Warning... addictive! 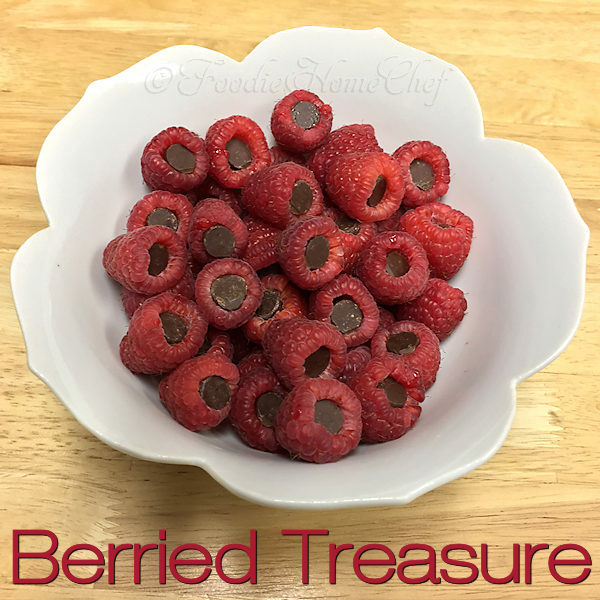 One of my favorite snacks & super easy to make. 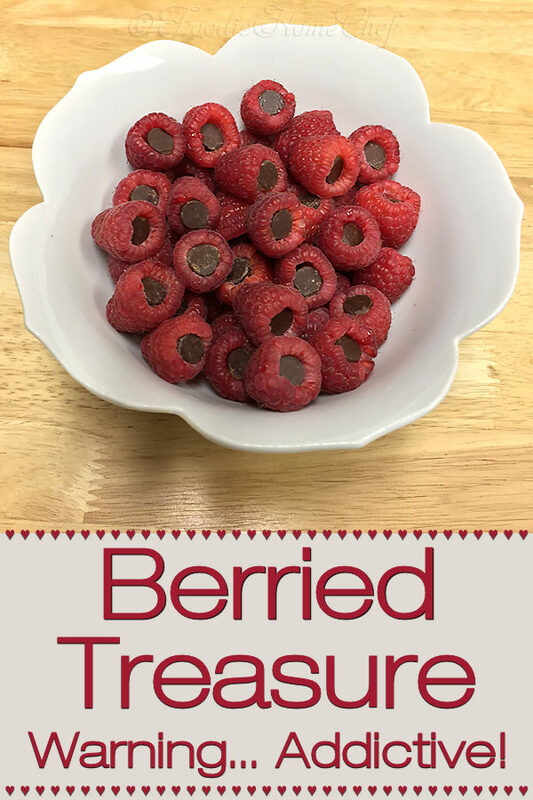 These also make a fun & healthy dessert for the whole family. 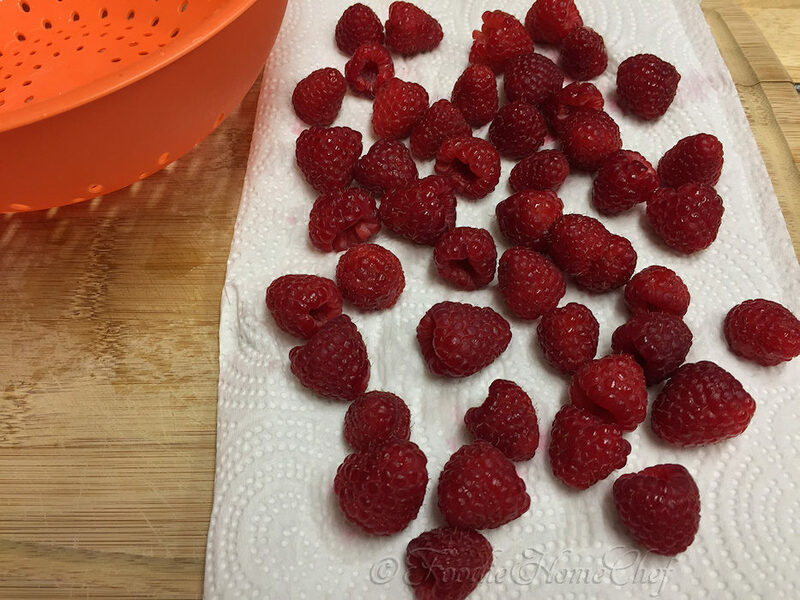 1 Rinse & dry the raspberries on some paper towels. 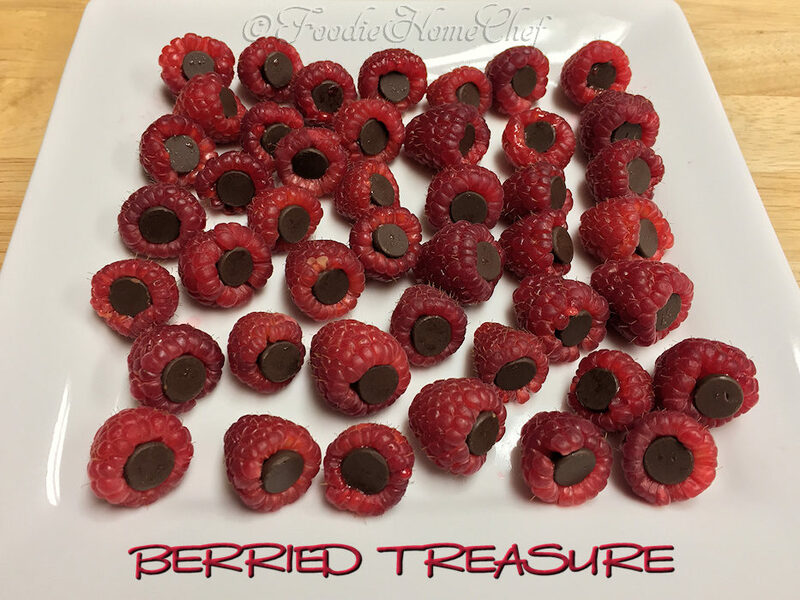 2 Gently press one chocolate chip, upside down, in each raspberry & place on a serving plate. 3 Serve & watch them disappear! 4 You can make these ahead of time & refrigerate, uncovered, for a day or so until ready to serve. 1 Change things up a bit by using any variety of chocolate chips you like... milk chocolate, dark chocolate, white chocolate etc. 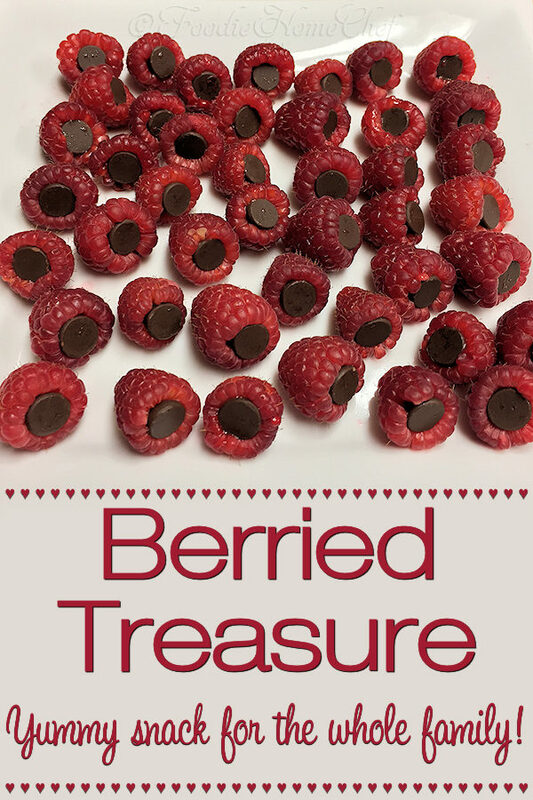 You can also use blueberries (washed & dried) instead of chocolate chips! These are cute….kids would love them (they’d have to beat me to them first)! 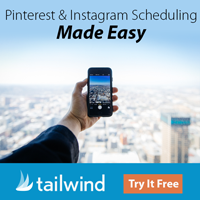 I LOVE your site!! 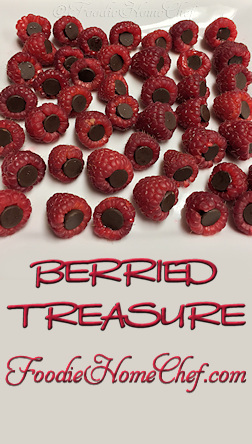 …and, your Berried Treasure recipe is easy enough for even me!! …an’ looks GOOD!! I also am in love with your mountains! It’s been so long since I’ve been there, but I used to go up with my parents when I was in my 20s. Our favorite town was Franklin and surrounding areas. Hi Cindy, so glad you stopped by & glad you found a recipe that suits you! I’m in love with The Great Smokies too. It’s a real joy to live here 🙂 Oh yes, we’ll definitely stay in touch my friend.